Carmen Webster was known for her tremendous smile and great love of nature. Carmen grew up in Tepesquie Canyon and lived in Santa Barbara County for most of her life. She was active in dance, singing and playing guitar. Her last 10 years was living at Garden Court where she was stayed very active in community events. 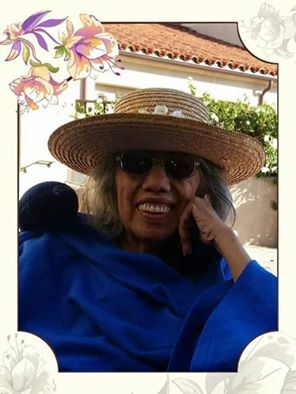 Carmen was a homemaker and raised five children in Santa Barbara. Carmen is survived by her five children, Anita Aros, Alan Klaudi, Ivan Webster, John Aros, and Yolanda McGlinchey, including nine grandchildren and seven great-grandchildren. Carmen’s smile and love of life will be greatly missed by all her knew her. A Celebration of Life for Carmen Webster will be held on Saturday April 4, 2015 at 4:00 p.m. at Jubilee Christian Church, 7190 Hollister Avenue. For more information please call 805-331-2414. In Lieu of flower the family is asking that donations be made to Serenity House in Carmen’s name.